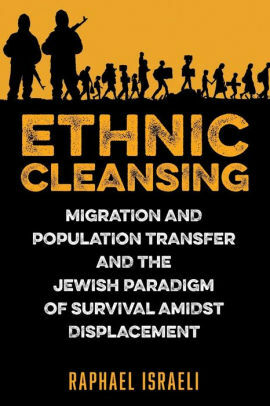 Ethnic Cleansing is about the various forms of population displacement, from migration and ethnic cleansing to violent removals and expulsions, which may end up in genocide. It also shows how amidst displacement, the Jewish people have developed a millennial culture of survival. This volume covers the experience of population displacement in Europe, Asia, and the Middle East, where the most renowned cases of migration and ethnic cleansing have happened under different regimes and in various cultures along the history of mankind. Today the author is also concerned with the plight of the Rohingya refugees from Myanmar living in Bangladesh and the perennial Palestinian refugee problem. 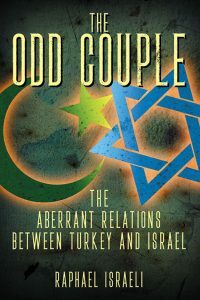 The Odd Couple details the ups and downs in the tortuous relations between modern Turkey and Israel. The central actor in the book is Tayyip Erdogan, who came to power in Turkey in 2002-2003, determined to turn the clock back and return his country to its pre-Ataturk glory, when the Ottoman Dynasty reigned supreme and Islam was the dominant ideology holding the Empire together. To understand the aberrant relationship between the Jewish state of Israel and the Islamic state of Turkey, and the preponderant role of Tayyip Erdogan in its deterioration, one must dig into the Ottoman past, the historical attitudes of Turks to Jews, and the shift in Turkish policies that was effected by the transition from the modern Turkish civil governments up to 2002 to the vast changes that the Islamic parties of Erbakan and Erdogan have triggered thereafter. This is the story of how one man can alter relations between two countries. The Middle East conflict, which has been raging for a century and seems to have no end in sight, is not over territory or other assets, but is historically anchored in the Islamic tradition, which has become the preponderant faith of the Arabs. Being a qualitative factor of an either-or import from the Muslim point of view, which is today best expressed by Iran, the Muslim Brothers, Hamas, Hezbollah, and other radical Muslim movements, it is not given to negotiation and compromise, as any other political conflict, but is governed by absolutes and one-sided perspectives. Arab nationalism, Islam, and Zionism are the main political and religious movements taking center stage in this conflict. The intractable nature of the conflict has so far defied all negotiations, agreements, and peace treaties. All the proposed “peaceful” settlements have thus far remained brittle, while the fundamental issues of stereotyping, suspicion, hatred, and condescendence have remained in place, unshaken. This book confronts two contradictory ideologies and attempts to bridge them over. The fact that Kosovo was torn away from Serbia as a result of the Bosnia War of the 1990s was not dictated from above or was inevitable. It was a Loss by Complacency. Serbia had allowed this situation to develop over the years by letting a Muslim majority grow in place. It then was able to take over the most important district in Serbian history. International interference in this developing conflict helped decide its fate, but only because Serbia did not continually demonstrate that it cared for the area, and therefore should have ensured a permanent Serbian majority in it and not let it fall into the hands of Muslims, thus altering the entire strategic balance in the Balkans. The U.N. and other international forces decided the fate of the war in Kosovo, but it was the Serbs own self-delusion that they needed to do nothing to ensure their sovereignty over the territory that was theirs for centuries. They should have had no faith in the American and European assurances, or in the Dayton Agreements, which ended the Bosnia War and that Serbian territorial integrity would be guaranteed in any case. 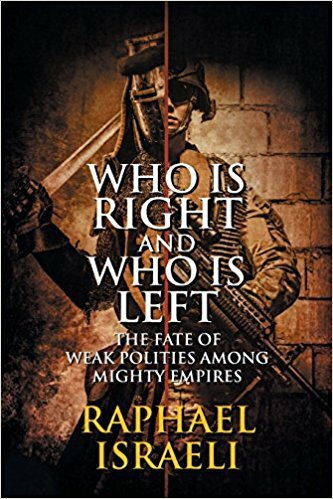 Born in Fes, Morocco, Raphael Israeli has taught Islamic, Chinese, and Middle Eastern history at Hebrew University in Jerusalem and is currently a Professor Emeritus. 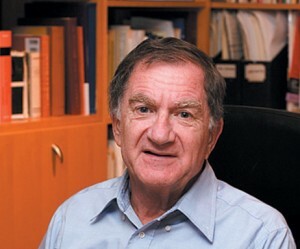 A graduate of Hebrew University in history and Arabic literature, he earned a Ph.D. in Chinese and Islamic history from the University of California, Berkeley in 1974. 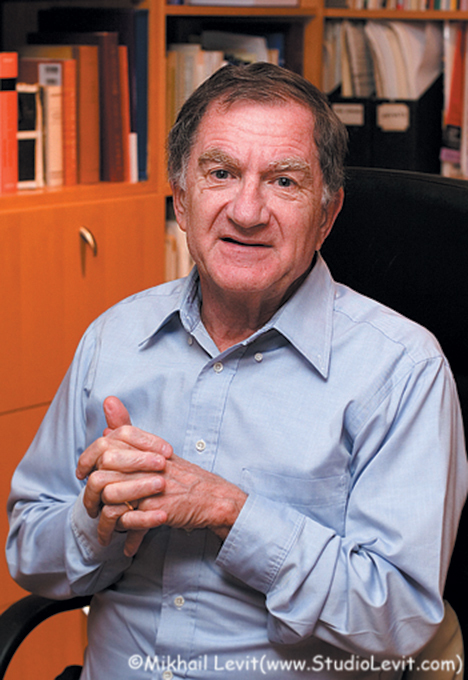 A Fellow of the Jerusalem Center since the 1970s, Professor Israeli is the author of over 50 research books, a dozen edited books, and 100 scholarly articles about Islam in the Middle East, in Asia, and in Europe. Government strategies for immigration in the Western world are changing. This follows decades in which the West enthusiastically embraced a policy of multiculturalism, hoping to integrate the critical mass of Muslim immigrants arriving in Europe. Some have come in search of economic opportunity; others are legitimate political refugees fleeing tyranny, oppression, and persecution. 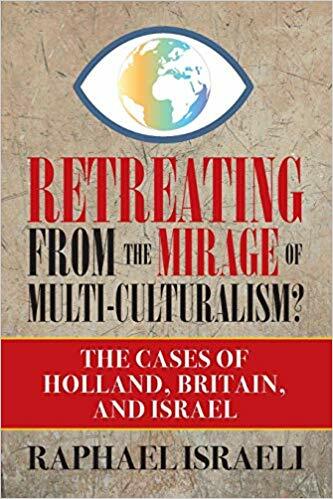 Multiculturalism, however, became an ideology so deeply and wholly adopted by certain Western governments, as to trigger processes of separatism instead of integration, while efforts to accord citizenship and facilitate assimilation have instead created undercurrents of revivalist Islam. The resulting policy has deteriorated into anger and frustration, leading some new immigrants to support terrorism against their host countries, and to participate in planning and initiating acts of violence in Britain, Spain, France, Germany, and Belgium. In view of this, some host countries have begun to rethink the benefits of multi-culturalism, adjusting to a new policy seeking the integration of Muslim minorities, not through recognizing and cultivating their separate identities, but through imposing the dominating culture of the adopted country. Case studies include Holland, Britain, and Israel. History books are usually written by victors, while the defeated write poetry and words of nostalgia hoping for better days. This volume takes major defeats in Jewish history and tries to describe what happens to a defeated nation, and how in the specific case of Israel and the Jews, the trauma of defeat engenders hope and forces the survivors to learn lessons for the future. The destruction of the two Jewish temples in antiquity, the Holocaust, and the 1973 War serve as case studies to illustrate the problematic. National grief as a result of disasters is a process of recuperation. Drawing lessons learned from the event will help the nation come out of trauma. Survivors commemorating the dead also help that process. 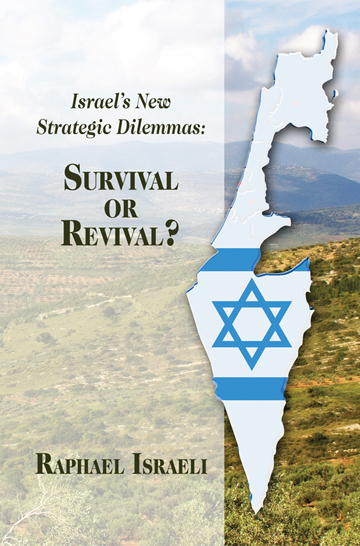 Israel’s New Strategic Dilemmas: Survival or Revival? Israel’s New Strategic Dilemmas: Survival or Revival? details the strategic problems facing Israel today as a result of the asymmetrical terrorist wars imposed on it. With the motive of delegitimizing Israel, and forcing it to react against civilian terrorists who dwell amidst other civilian populations and who do not have any legal or international standing, these wars create an untenable situation of retaliation and casualties. Unless Israel succeeds in making the necessary reforms in the strategic areas of security and domestic affairs, its chances for survival are dwindling. One of the most tragic and cruel periods in modern European history unfolded in the early 1990s, as we watched the rampages committed by all parties in the Bosnian War. The Serbs, who were in control of the destiny of Yugoslavia and were the mainstay of the Yugoslav army, gradually lost their grip, as international intervention favored the independence of Bosnia. The flames of war pitting the three populations against each other brought about the deaths of hundreds of thousands, and ended with the imposed Dayton Accords, with which the parties were not entirely content. 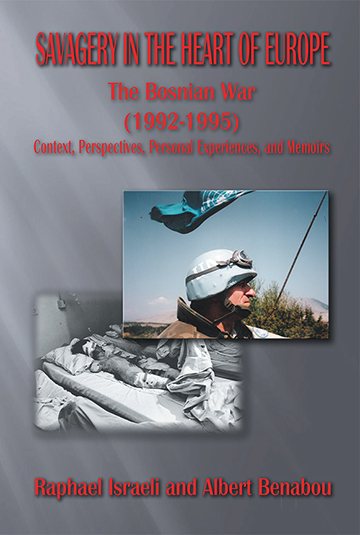 The war showed not only that old enmities never die – for all parties saw this war as a continuation of World War II horrors, when the Croats and their Bosnian partners collaborated with the Nazis – but also as a heritage of the old Balkan wars, where outside intervention, notably Muslim, American, NATO, and UN was necessary to bring the conflict to an end (for now). Israel has been constantly threatened by Palestinian and Islamic ghosts that either perennially mount attacks against her or loom in her horizon as permanent menaces for her very existence. 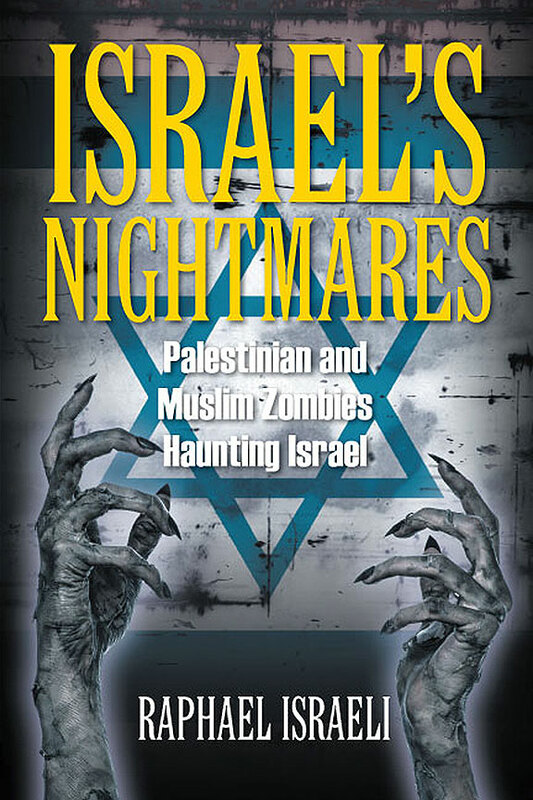 These ghosts that cause nightmares and haunt Israel include the Israeli Arab minority, Palestinian refugees, Palestinian prisoners, Muslim radicals and terrorists, Muslim campaigns of de-legitimization, Muslim poisoning of the physical and spiritual environment of the Middle East, and other threats. Written by a college professor, Israel’s Nightmares boldly delves into the history of the region and its politics. 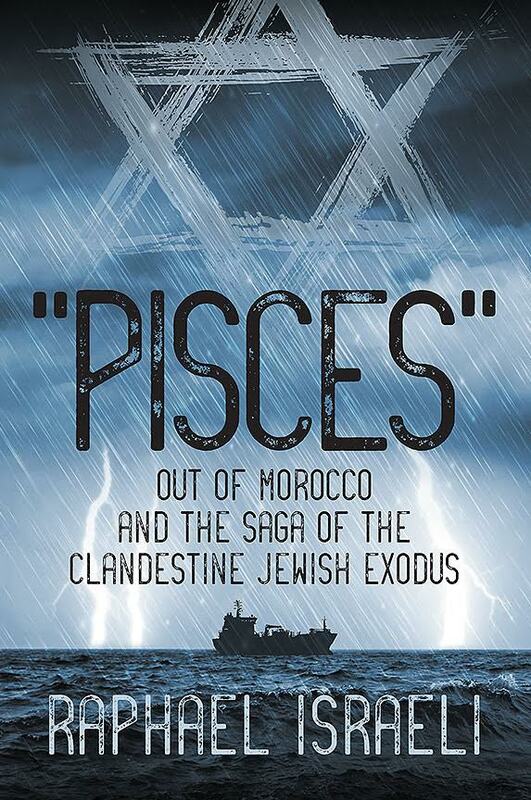 This is the saga of the underground Jewish emigration from Morocco, which sent hundreds of thousands of Moroccan Jews who had been persecuted under Islam for centuries, onto illegal ships. The Jews faced stormy seas and an uncertain future in their valiant attempts to escape from the authorities forbidding their emigration, risking their lives for the dream of reaching the hopeful shores of nascent Israel. In one of those attempts, the ship “Pisces” sank off the coast of Morocco, taking with it 45 souls, including entire families who were never to reach their destination. Since this book is partly autobiographical, much of the story focuses on the author and his family. The rest is populated by the many brave and unidentified Jews who ventured into the unknown, taking enormous risks to secretly leave Morocco. This volume deals with the dilemma of “just wars,” if any war can be justified. In fact, it is like many other things in life, in the eye of the beholder. For what is just in the eye of the winner and victor, will be wrong and unjustified in the eye of the victim and loser. This is the reason history is written by victors, while the defeated indulge in lamentations and nostalgia. 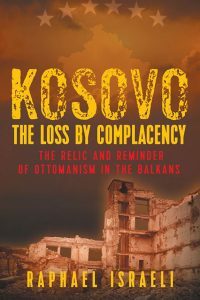 In several historical chapters, this volume brings up several cases from antiquity to our days, of big powers that took the liberty to conquer small nations and subject them to their whims, in the belief that might was right, as well as reversals in history where the crushed victims ultimately gained the upper hand. Therefore, the question of who is right and who is left to tell the story will remain a tale of relative narratives, leaving it to subsequent generations and their (usually biased) historians to rewrite history to their taste. 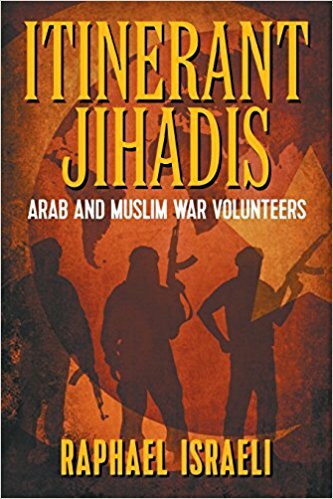 We watch with amazement the Muslim Jihadists of our time, moving from one killing field to another, mobilized, physically and spiritually for the cause of Islam, and risking their lives to accomplish a goal that usually escapes us. It turns out this practice took root since the inception of Islam, and that its miraculous expansion worldwide was due to a great extent to the masses of volunteers who sprang out of Arabia, heading westward until North Africa and the Atlantic, and on the other hand, to the Iberian Peninsula, and on that side of the globe, they conquered the Middle East, Asia Minor, and Central Asia in a sweep the world has known since the Roman Empire. The process of Islam expansion has also produced the great Islamic Empires of the Umayyads, Abbasids, Fatimids, the Muwahhidun of North Africa and Iberia, the Ottoman in the Middle East and the Balkans, and the Moghuls of India. Even after the Islamic empires were defeated and colonized, and from their point of view victimized and humiliated, the revived Islam continued to witness vast movement of volunteer Jihadis, flocking to Afghanistan, then to Iraq and Syria. In contemporary Islam, that movement has come to embrace large numbers of Western Muslims from Europe and the Americas, who have been swept by the exciting idea of a revived Caliphate. For centuries Muslim countries have cultivated the myth that Jews under their rule enjoyed equality, harmony, and generally positive treatment. But the revelation of relevant documents covering one millennium of history (the 10th to the 20th centuries), tell a different story, one of persecution, pogroms, suffering, and humiliation, which were relieved only when France colonized North Africa in the 19th and 20th centuries. The major landmark of this attitude was manifested in the inferior and humiliating dhimmi status that Jews were subjected to, which dictated that the harsh rules of Muslim supremacy and dhimmi submission be applied to non-Muslims in Islamdom. Raphael Israeli is a professor of Islamic and Chinese history at Hebrew University in Jerusalem, Israel. “I have myself lived under these horrific conditions. But my grievances against the Muslim world, which I was compelled to leave behind in Fes, Morocco, at age 14, were hard to prove against the fervent denials of the Muslims. 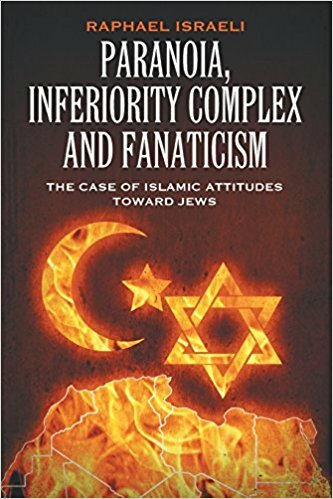 The revelation of these documents shows conclusively what the real situation has been, which caused the massive exodus of the Jews of Islamdom when the state of Israel was founded in 1948.” This is the author’s 57th book. 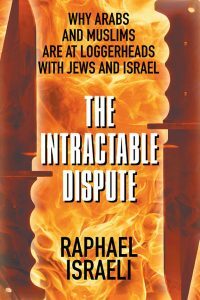 Raphael Israeli was born in Fes, Morocco, a hostile environment for Jews for a millennium. After the birth of Israel in 1948, most of the 300,000 Moroccan Jews immigrated to the Jewish state. 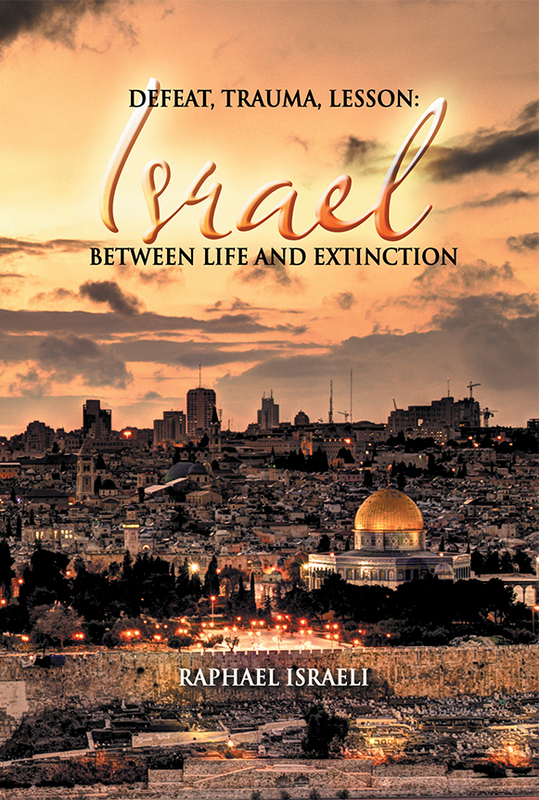 “I have been living in eternal and awesome Jerusalem most of those years, where I serve as a professor of Islamic and Chinese history at Hebrew University.” The author has now published 46 books. 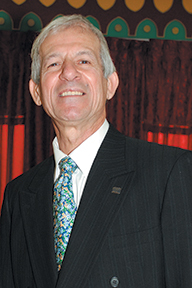 Albert Benabou is the first Israeli who served as a diplomat in the United Nations Peacekeeping Forces in a war zone. His testimony at The Hague was crucial. He is a graduate of Hebrew University in political science and French culture, an officer (rank of major) with the Israel Defense Forces, and was advisor to Israeli Minister of Foreign Affairs David Levy.